"It saddens us to hear about the tragic news. 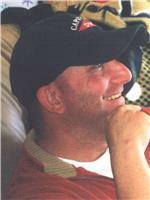 Darrow and his..."
Darrow James Leonard, age 43, passed away Saturday, April 13, 2019. He was a lifelong resident of Assumption Parish. He enjoyed crawfishing and hunting, watching his children's extracurricular activities, and spending time with his family. He is survived by his wife, Rachel Traigle Leonard; children, Blaise Traigle and fiancé Colby Troxclair, Trey Leonard and significant other Shandi Gros, Emme Traigle, Laini Leonard, Peyton Leonard; granddaughter, Myla Jane Leonard; mother, Nora Aucoin; sisters, Darnell Leonard, Nerline Rivere, Marlene Landry and husband Johnny, Christina Clark and husband Gerry Jr.; brothers, Jamie Leonard, Kevin Leonard and wife Trista, and Julius Leonard; father-in-law, Adam J. Traigle and wife Connie; sister-in-law, Wendy LeBlanc and husband Don; and brothers-in-law, Danny Traigle and wife Lisa, and Adam M. Traigle. He was preceded in death by his father Henry "T-Han" Aucoin; grandparents, Reno and Nerline Cavalier, Rene and Grace Leonard; and brother-in-law, Scott Traigle. Visitation will be held on Thursday, April 18, 2019 at Church of the Assumption of the Blessed Virgin Mary in Plattenville from 8:30 AM until funeral time at 11:00 AM. Interment will follow in the church cemetery. Landry's Funeral Home is in charge of arrangements.